The Spin Grip Mic Mount, one of the final tweaks to the original micKing3300, single-handedly fixed the long standing joke of “positionable” microphone mounts. Due to its high popularity within the micKing product line, we made the SGMM a stand alone accessory for owners of non-Latch Lake microphone stands. 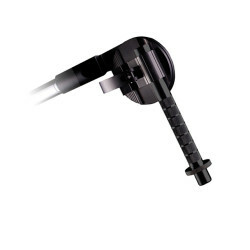 With a positionable range of 295º, the SGMM utilizes a 3″ disk break capable of locking the heaviest of microphones in place. Its unique free-spinning thread system allows for spinning the threads on to your microphone instead of spinning your microphone on to the threads. 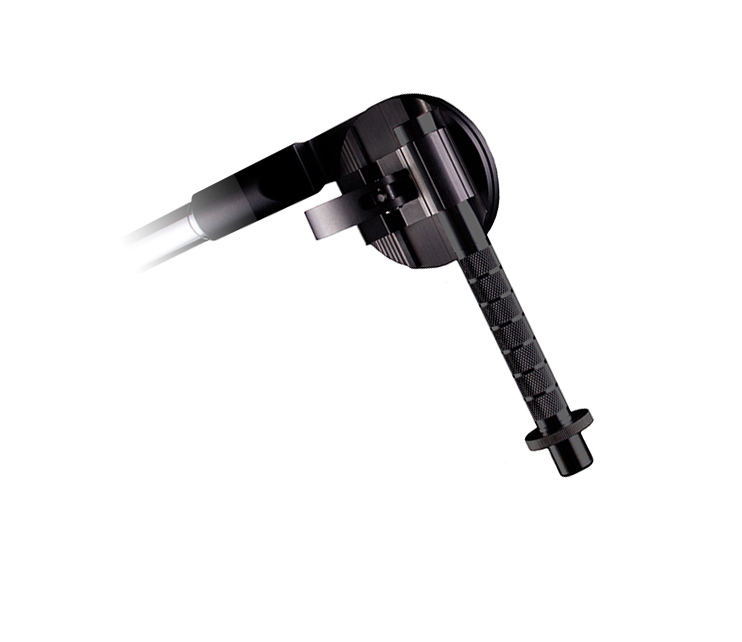 The basic SGMM comes with a 1 x 5/8-27 thread extender (Thread Saver) to facilitate short threads often found on most microphone stands. Its mounting point is a 5/8-27 thread for US microphones. A European adapter is available.